Step away from those jars of salsa. Step away from those jars of salsa. With just a few minutes and a handful of fresh ingredients, whipping up a batch of homemade salsa is a cinch. 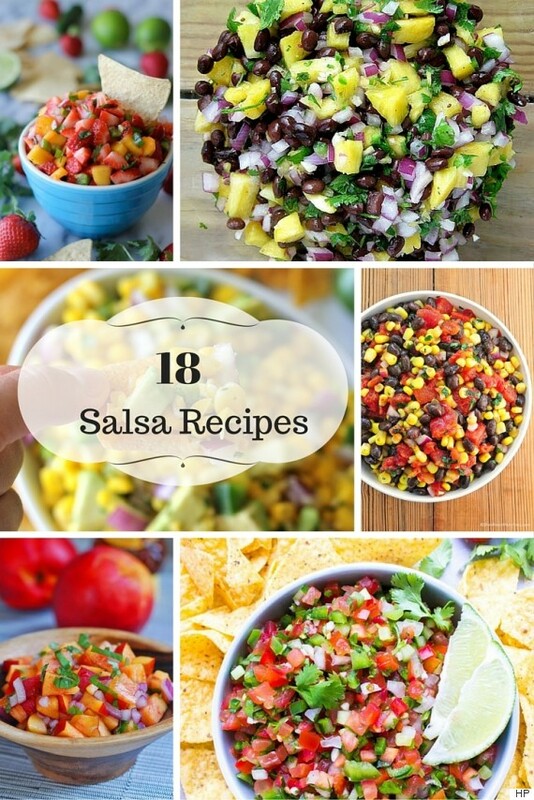 In the slideshow below, we rounded up 18 of our favourite fresh salsa recipes . From savoury to sweet, chunky to saucy and classic to unconventional, it's easy to find a flavourful side dish your whole family will love. And some salsas can even be cooked up. In Spain and Mexico, salsa cruda refers specifically to uncooked salsas, while the word salsa on its own just means sauce. So the next time you pull out the salsa and chips, think about serving it as a sauce on chicken or fish instead! How do you prefer to eat salsa, as a side or a snack? Let us know in the comments below.